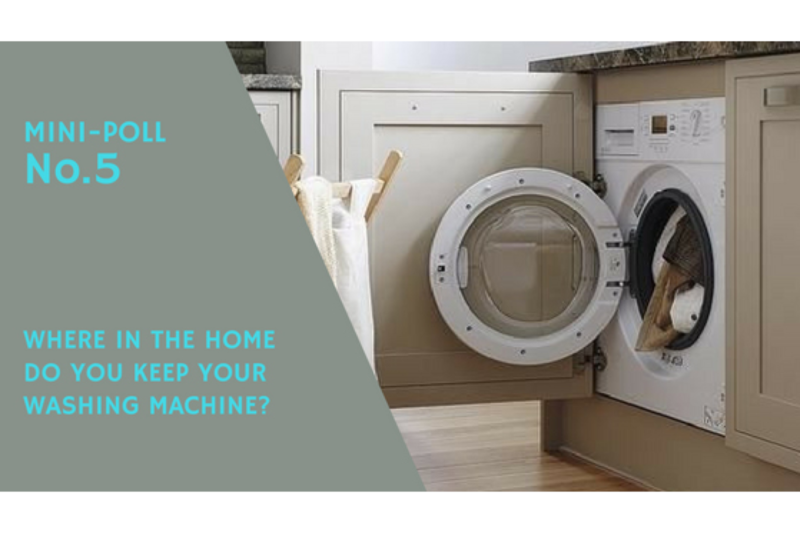 As the chart shows, a resounding 69% of people keep their washing machine in their kitchen, with 24% of people having the space for their washing machine in a laundry or utility room. 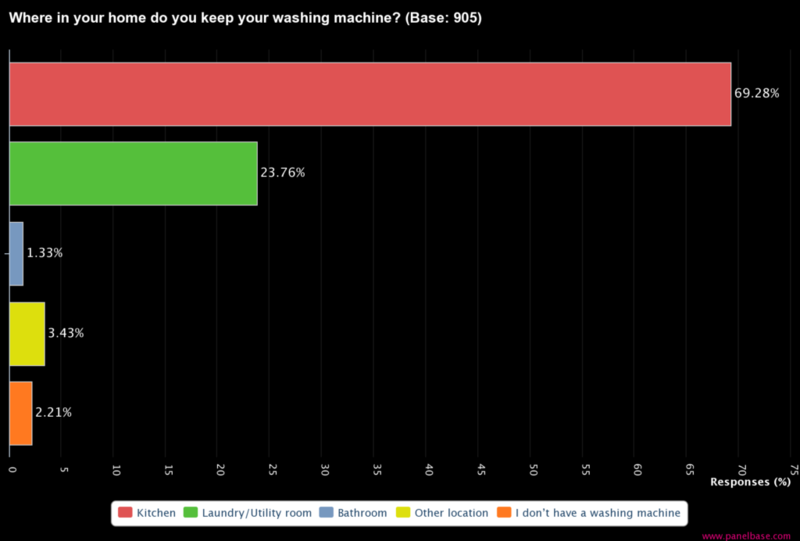 Only 1.3% of our mini-pollers keep their washing machine in the bathroom as suggested by Allsopp. The row in social media was sparked by Kirsty’s response to a journalist’s comments about Americans finding the British way of placing washing machines in kitchens confusing. Washing machines in many parts of the US and Europe are placed in the bathroom or separate utility rooms, but in most UK homes they are usually found in the kitchen, in part because in the UK there are no electrical sockets in the bathroom and most UK bathrooms could not fit a washing machine.